Who will direct the big screen adaptation of Naughty Dog's Uncharted: Drake's Fortune? The LA Times reports that the film's producers and Sony, the studio backing the flick, have a short list of favorites that includes David O. Russell. Who's that? You may know him best as the director of Gulf War drama Three Kings or comedies Flirting With Disaster and I ♥ Huckabees. Or you may simply know him as the dude who likes to get into physical and verbal spats with his cast, his crew and his peers. Here's a classic video of Russell and Lily Tomlin exchanging a litany of f-bombs on the set of I ♥ Huckabees. The LA Times' report notes that Sony seems pretty pleased with the Uncharted script that new screenwriters Thomas Dean Donnelly and Joshua Oppenheimer delivered. As long as the movie is packed with wall-to-wall platforming and accurately half-tucked thermal shirts, we'll be thrilled. 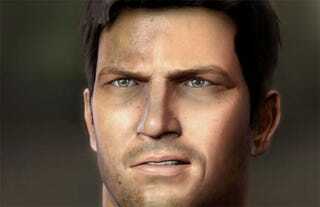 If there's some explosive behind the scenes footage of a director roughing up his Nathan Drake, even better.